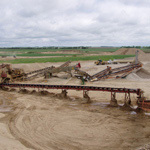 Northern Con-Agg produces high-quality natural aggregates at three sand and gravel mines in Rauville, South Dakota, as well as Russell and Luverne, Minnesota. We also offer kaolin clay mining for use in plastics and construction. 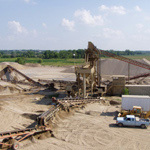 The production wash plants at each location provide nearby markets with products suitable for use in a variety of applications, such as ready mix, highway projects, construction projects, and landscaping. 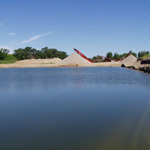 Find out more about our land reclamation services after mining is completed.